How To Active DND on Vodafone: Did you privy to DND services, for unwanted selling calls and SMS on your mobile network?. Here is the guide to a way to Activate DND, on any Mobile Devices. a way to Activate DND On plan, DND on Vodafone, DND activation on Airtel, DND Reliance, DND Tata Mobiles, DND Aircel. DND helps you to prevent unwanted business phone calls and SMS on your Mobile. Activate DND (Do Not Disturb) on your mobile currently. Also, read:How To Find My Android Phone? 1.1 How DND Works on Vodafone Mobile? 1.2 How to activate DND on Vodafone Mobile? If you are a Vodafone user and find yourself harassed constantly by telemarketing companies you can use the DND service. 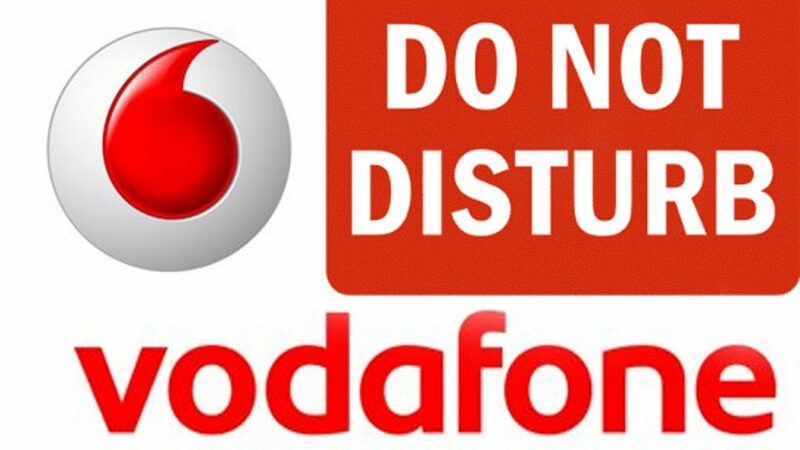 The Do Not Disturb service has been introduced by TRAI to provide an alternate solution to the general public. When you activate the DND service your number is added to the National Do Not Call registry. Telemarketing companies will be penalized for calling numbers on this NDNClist which safeguards you from their harassment. How DND Works on Vodafone Mobile? By default all the mobile numbers in India are not subscribed to NCPR; means any Telemarketer / Organization can call you to promote their products/services or send SMS. If you want to stop these unwanted commercial communication, subscribe to NCPR / activate DND. How to activate DND on Vodafone Mobile? All commercial communications will be blocked. SMS: START X to 1909. SMS: START X, X to 1909. SMS: STOP X to 1909. SMS: STOP X, X to 1909. Deactivation of DND / unsubscribing to NCPR will allow Telemarketers / Organizations sending commercial communication again. DND (now NCPR), will never block any of your solicited communication like Bank alerts SMS, Bank communications, Ticket / online booking confirmations, etc. Each DND (now NCPR) request takes 7 days for the process and a confirmation SMS will be sent to you in 24 hours. There should be minimum 7 days gap between previous DND request and registration for a new request. 1909 is a Toll-free number, no charges applicable. DND (NCPR) cannot block your bank SMS alerts, bank communications, online bookings, third party personal calling, and etc. It takes minimum 7 days to process your request to stop the unwanted messages. You should have at least 3 months of time before applying to new DND request after the previous one. Calls and messages to 1909 is completely toll-free, and you don’t have to pay anything. I hope this information will help you to cut down the unwanted messages and calls automatically (How To Active DND on Vodafone)before reaching you. Please leave your queries on this issue in the below comments section.